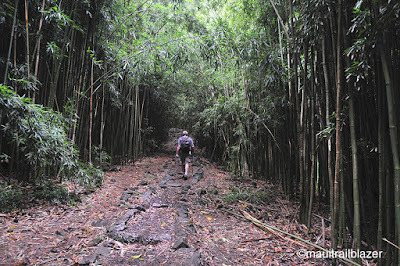 The Hana Highway is an adventure unto itself. And then there's Hana Town to explore. 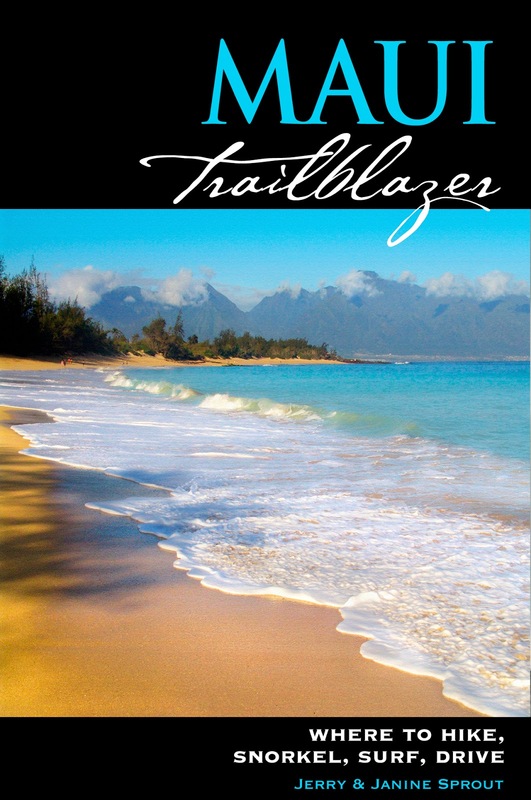 And, farther down the road, are the Pools of Oheo in the coastal section of Haleakala National Park. With all that, it's no wonder many visitors run out of time and miss the treasure of the day trip: the hike to the Falls at Makahiku and Waimoku Falls (pictured above). 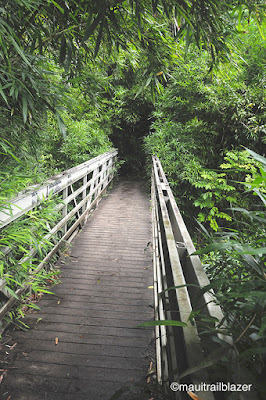 The trail begins right across the highway from the park entrance, and climbs to penetrate a dense bamboo forest. Footbridges across turbulent waters make the hike possible and are one of its wonders. 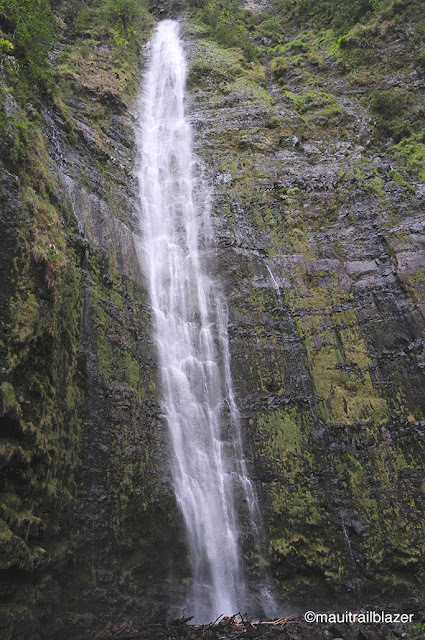 But the big payoff is at the top at Waimoku Falls, a 400-foot-high white ribbon falling down the face of a green amphitheater. 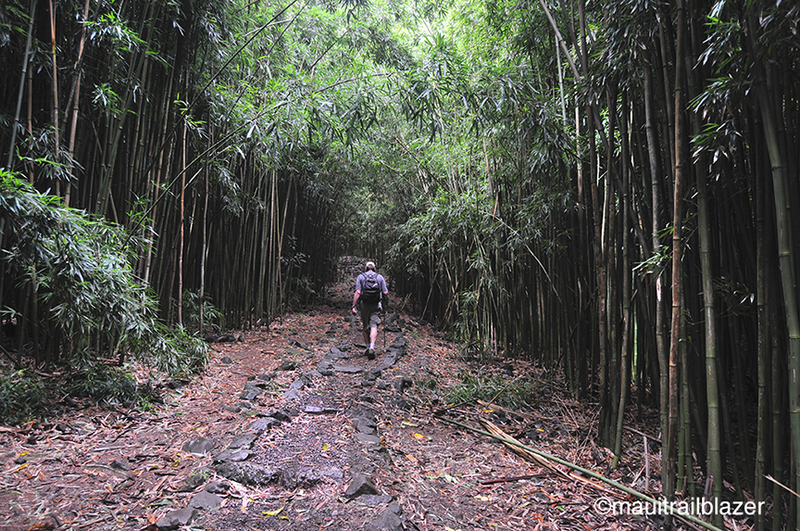 The hike is 4.25 miles round-trip, with 825 feet of elevation gain—not a killer. 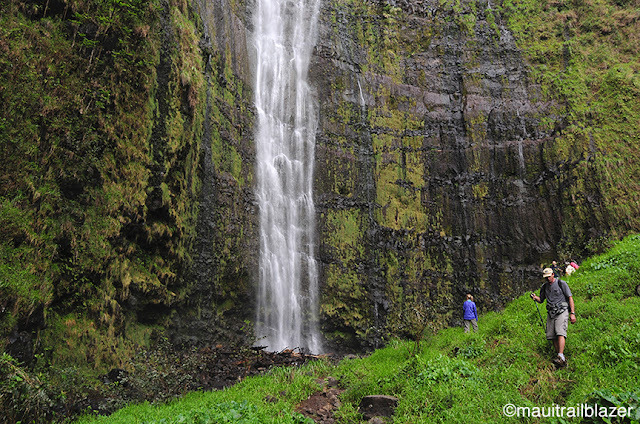 Along the way are the spectacular Falls at Makahiku. A short spur trail leads to a view from the top down the gorge (stay well back from drop offs). You can bag this baby with a hike of 1.25 miles round-trip with a gain of 300 feet. 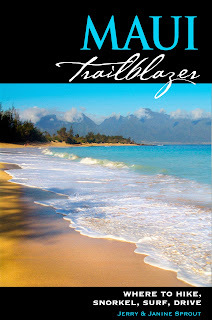 Maui Trailblazer has more details on this hike, as well as many (many) other adventures along the Hana Highway. The book also has advice on how to manage your time and avoid the crowds at this popular attraction.